This shop has been compensated by Collective Bias, Inc. and its advertiser. All opinions are mine alone. #SkinClearingMakeup #CollectiveBias. 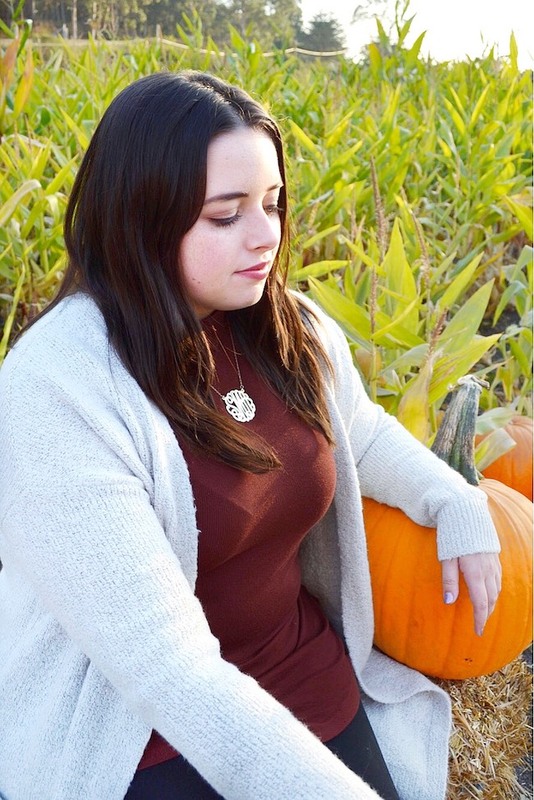 Although fall is definitely one of my favorite seasons (second to winter! 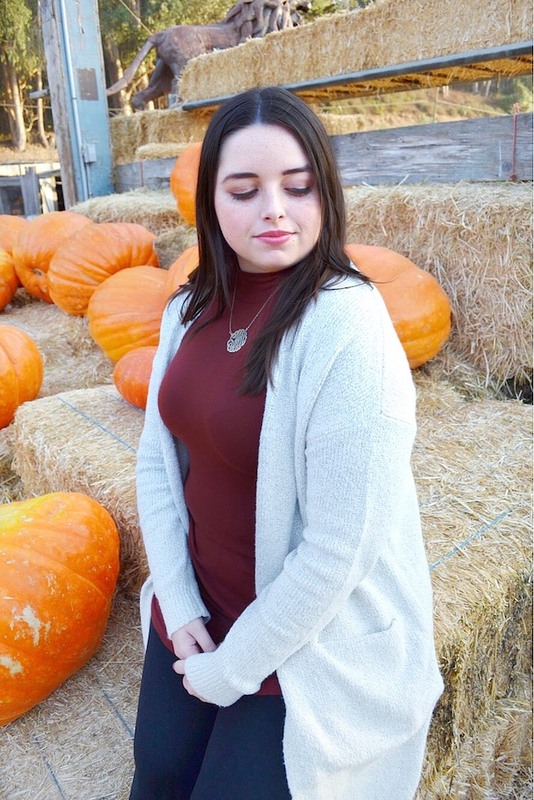 ), over the years I've also come to realize that the season tends to bring on more responsibilities and with that a bit more stress than summer. In previous years the stress would come from starting up school again, but now that I've graduated stress is starting to poke its head in from other areas in my life. Not only am I dealing with all the stress from the events from the last few months, but I also have the added responsibility of looking for a job. Another thing that I associate with fall is the changing of my makeup routine. With the change in weather, my skin becomes a bit dryer, but also subtly becomes lighter, so sometimes I need to pick out a new shade. A recent find of mine that covers both of these shifts is Neutrogena® SkinClearing® Makeup which covers up and helps prevent breakouts while you wear it, perfect for those who experience stress breakouts like I do! I've created a whole makeup look for fall with this line as a base and am loving how these products have a dual use. 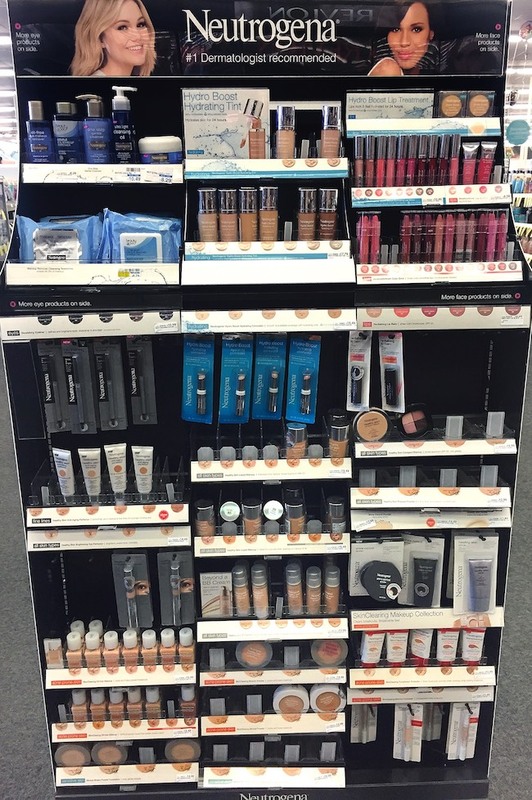 You can find the Neutrogena SkinClearing Makeup at your local CVS store, or feel free to browse the entire line of products at CVS online! It was super easy to find, and I love that they provide a variety of items in the SkinClearing line. These products are formulated for acne-prone skin, and is the first and only liquid makeup foundation with Micro-Clear technology that not only treats blemishes, but also helps prevent emerging acne breakouts for clearer skin. For those who are a little confused on what Micro-Clear technology does, it boosts the power of salicylic acid by breaking through oil and unclogging pores for fast acne relief. It's developed by dermatologists, and has an oil-free formula that controls shine and won't clog your pores. Almost sounds too good to be true, but it actually works! I ended up purchasing two items from the SkinClearing collection: the Neutrogena® SkinClearing® Blemish Concealer and the Neutrogena® SkinClearing® Liquid Makeup. The Blemish Concealer is perfect for getting rid of dark circles and covering up blemishes while at the same time helping clear them up. Both the concealer and the Liquid Foundation help to improve the look of your skin with natural looking coverage and the Micro-Clear technology that contains salicylic acid acne medicine. My next purchase in the line will definitely be the Neutrogena® SkinClearing® Mineral Powder which has the same acne fighting medicine, and also has a two-sided applicator and oil absorbing powders that both help to control shine and are designed to be gentle on the skin. I also bought the Neutrogena® MoistureSmooth Color Stick in Bright Berry and Neutrogena® Nourishing Eyeliner in Spiced Chocolate to finish off my look. I love how moisturizing the lip color is! Normally I apply some sort of chapstick or lip balm before applying lip products, but the Color Stick does a great job of moisturizing my lips while maintaining color for a few hours! I decided to buy the eyeliner in the dark brown shade instead of black because I personally believe warmer colors look better during the fall, however I do think the black or even the blue shade that this eyeliner also comes in would look nice as well. Now that I've shared the products, here's the look I created. 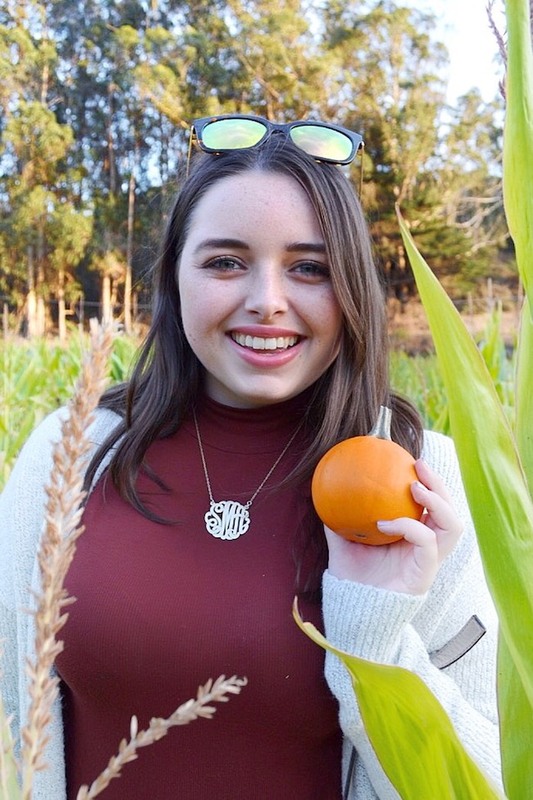 It lasted throughout the day and even through one of my favorite fall activities: going to the pumpkin patch! This look was so easy to create, and I think it would be a great makeup look for everyday during this season. I started by applying the Blemish Concealer under my eyes and on a few blemishes, then applied the Liquid Makeup foundation to my entire face and blend it all out. I filled in my eyebrows, added some neutral shimmery eyeshadows, and finished off the look with the Nourishing Eyeliner and MoistureSmooth Color Stick! 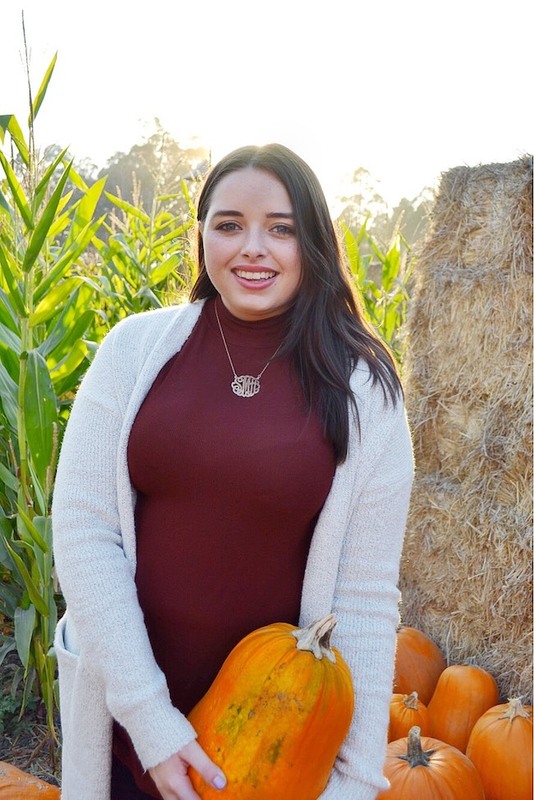 So easy to recreate and will look great during all your favorite fall adventures! What's your favorite fall activity? 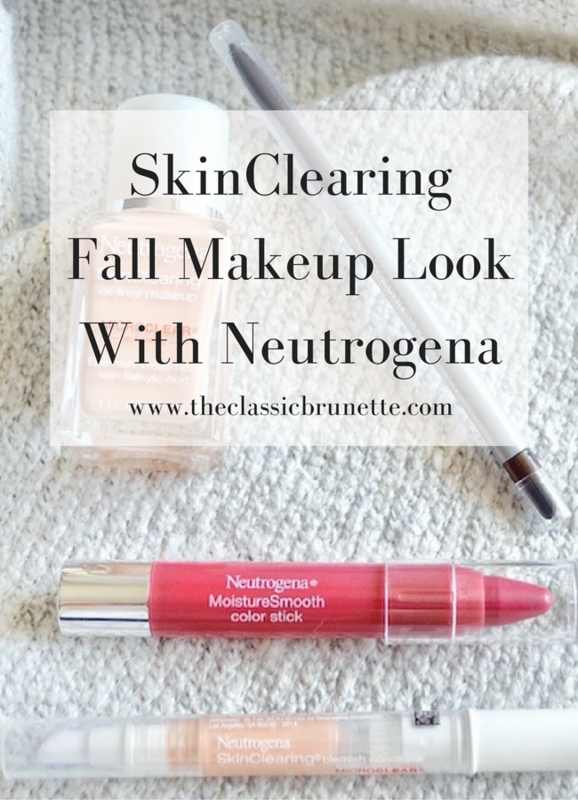 Have you used Neutrogena's SkinClearing line of products? P.S. You can click here for an ibotta offer to get $3.75 cash back on Neutrogena® Cosmetics Face Products and $2.25 cash back on Neutrogena® Cosmetics Lip or Eye Products! I see their skin clearing products every time I head to CVS but continue to use my cleansing oil regimen. I'm glad you like them, the lip colors are especially pretty! This makeup looks so good, it's my favourite! I love how soft and moisturizing the lip colours are! I break out so easily, so I'm always looking for clean and sensitive skin products! Love Neutrogena. Thanks for sharing! You look so pretty, Sami! I love Neutrogena products. I love Neutrogena! They have such great products that work well with my skin! 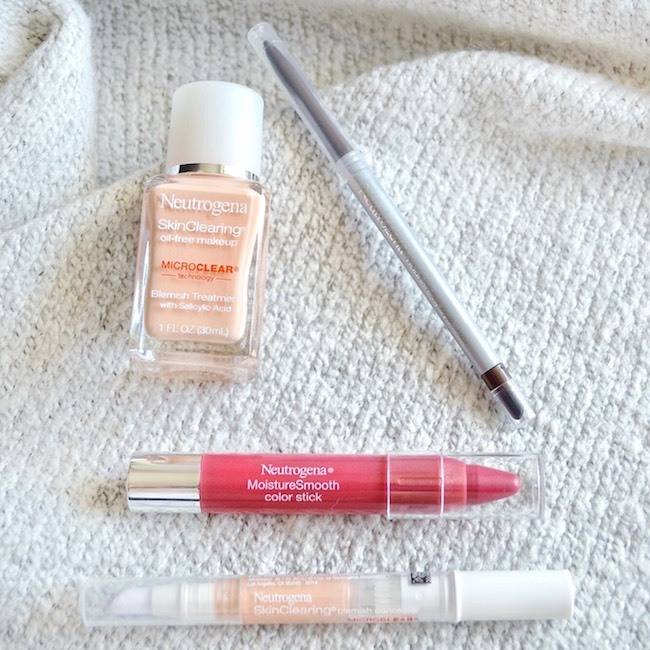 I haven't tried any Neutrogena products in a while, but these look good! I used Neutrogena for such a long time and still use their concealer. Such a great product and a fantastic price! I love lip colors like that one-ones that are moisturizing, easy to apply, and wear well...plus the color is beautiful! Neutrogena has the best products! Love their color sticks! lovely look, very clean and simple! I recently did a campaign with them and love their products! 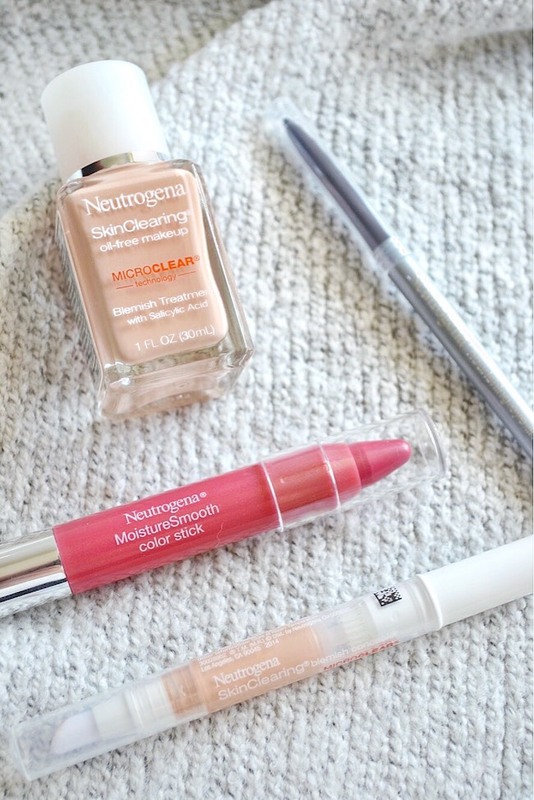 This might sound weird... but I had no idea Neutrogena has a make-up line too. We don't have Neutrogena make-up where I live (or I think we don't). There are only hand creams and body lotions. Love how these products look on you! Love Neutrogena!